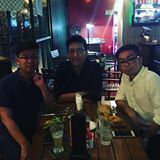 @nickwen2471 is on Carousell - Follow to stay updated! Have over 100+ cards. Very rare, if you played this before you know the special wrestler cards value. PM fast last batch sold. 300+ Cards. All rares and wrestler's signatures only. Have about 300+ CARDS. All rares and signature wrestlers cards. Kindly offer for all these. Have used but in good condition: 1x special Magic the gathering deck box (in picture) 1x maroon deck box 1x transparent hard box 10x hardcover for cards 3x60 card sleeves (grey, green, blue) PM me for offer for each or all items. Looking to sell fast because I dont need them.